This Danksgiving, there’s a great opportunity to cook up some special canna-goodness and celebrate what you’re thankful for (we’re thankful that with the outcome of the recent election, 1 in 5 Americans now finds themselves living in a state where marijuana is legal!) 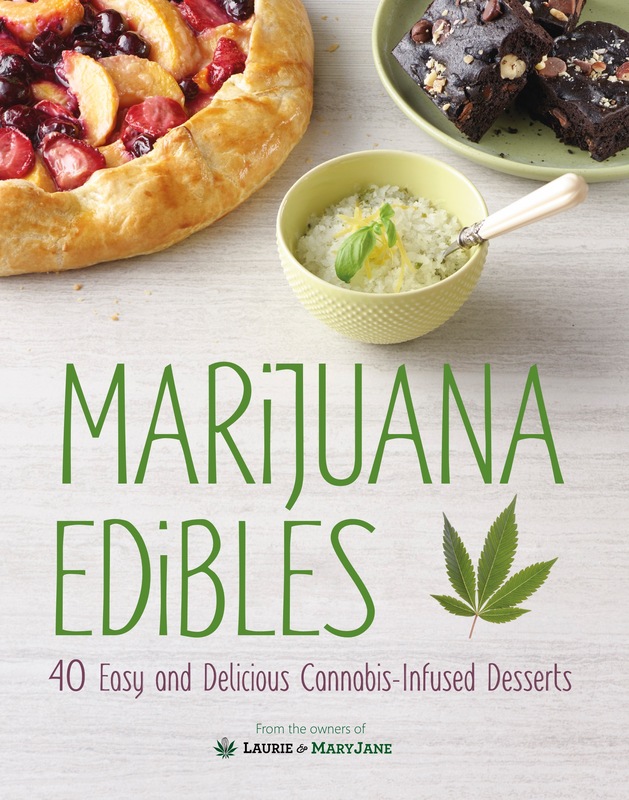 Whatever you’re most grateful for, pick up one of these cookbooks and embrace the wonders or marijuana –infused edibles. Here are some of our favorites. NOTE: WE ARE NOT DOCTORS, AND OUR PRODUCT RECOMMENDATIONS SHOULD NOT BE TAKEN AS MEDICAL ADVICE. WE RECEIVED SEVERAL COMPLIMENTARY PRODUCTS IN EXCHANGE FOR THESE MENTIONS, BUT DID NOT RECEIVE MONETARY COMPENSATION. ALL OPINIONS ARE OUR OWN. YOU MAY HAVE A DIFFERENT EXPERIENCE. 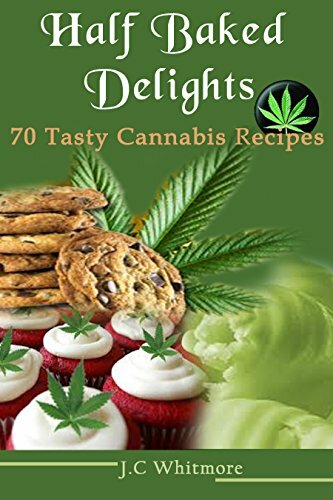 An easy-reading cookbook that demystifies the process of cooking with weed while helping you get an awesome sugar high, Marijuana Edibles is a must-have for those who love to cook dessert. Not everyone knows how to get “from bud to brownie,” and this book lays it out in a nice, neat manner. It’s packed with recipes like Amaretto-Dipped Sandwich Cookies, Buttered Rum Apple Turnovers and even Candied Bacon Toffee Squares! Check it out here. For the dessert lovers in your life (or maybe just you! ), Sweet Mary Jane is packed with educational articles about how to make basics like Buddha Budda, and turn them into deliciousness like High-End Celestial Cookies and the Queen of Tarts. 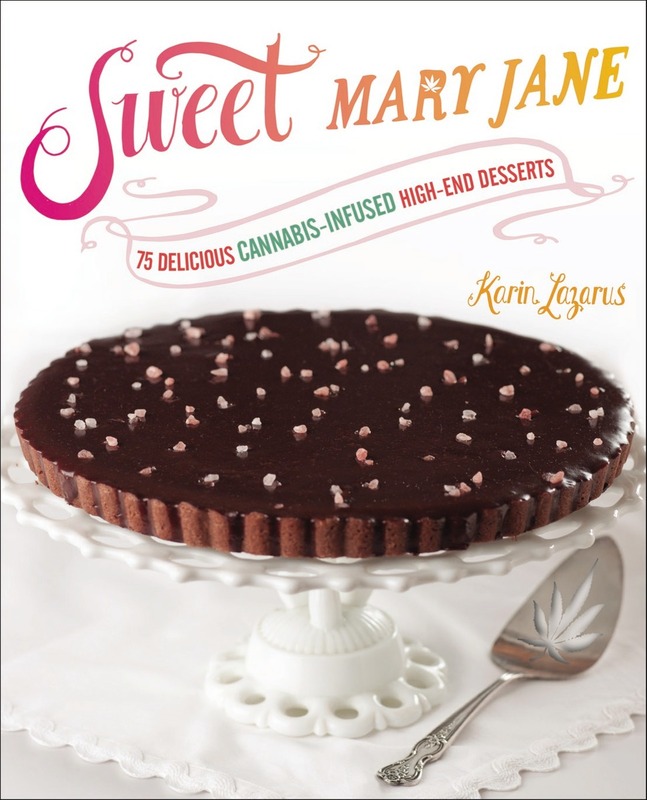 Created by a successful MMJ cannabis baker, Karin Lazarus, this cookbook won’t let you down – it’ll get you high! Get it here. Few stoners know the full science behind cannabis edibles; in fact, the process within our body is quite different than with smoking, and also different than vaping. 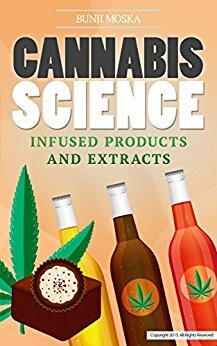 This cookbook breaks down the science and helps you create amazing tinctures, oils and infusions. Check it out here. 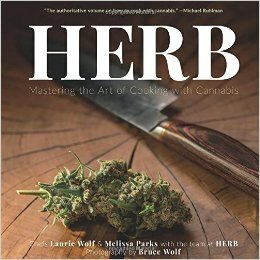 Chefs Laurie Wolf, Melissa Parks and the team at HERB know that cooking is an art form; when cannabis is inserted into their toolkit, that art becomes timeless. HERB contains far more than just basics like Cannaoil and recipes for yummy treats like Cannabis-Infused Garden Pizza; it explains terpene flavors, the difference between strains and cannabis’ medical benefits. See more here. Cooking with cannabis is easy; all you need is the right vision for your food and a technical guide to follow along with. 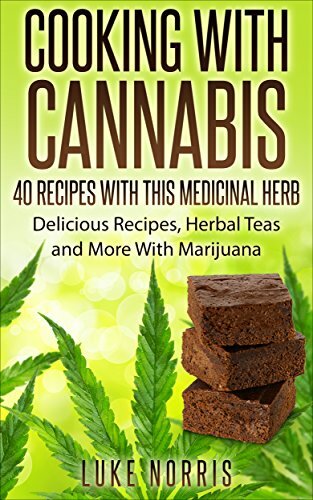 Moving beyond classic marijuana brownies, this book offers instructions for whipping up basics like cannaoil and cannabutter, then turning them into your favorite treats. See more here. 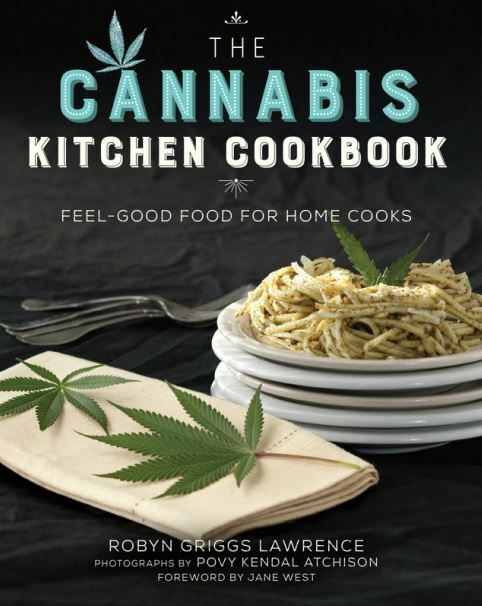 Filled from cover to cover with cannabis-infused recipes for home marijuana cooks, The Cannabis Kitchen Cookbook offers in-depth information and step-by-step instructions for extracting marijuana’s flavor (terpenes), setting your dosage and more. 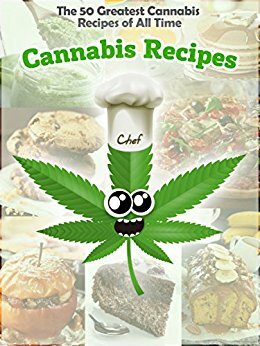 It includes recipes such as the Highland Yogi Smoothie, Sativa Onion Soup with Ginger and Lemon, and Fresh Cannabis Flower Guacamole. Find out more here. 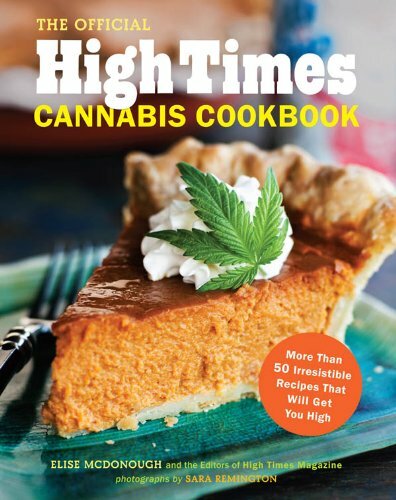 The High Times is a trusted source for weed-related lifestyle content, and now it can become your trusted cookbook advisor as well! It’s got favorites like Time Warp Tamales, Sativa Shrimp Spring Rolls and Pico De Ganja Nachos. Find out about it here. Covering your munchies for breakfast, lunch and dinner, these half-baked delights provide something for every taste. It’s perfect for your friend who wants to explore new recipes without getting too crazy. Get half-baked here. The amount of weed you should be using to create marijuana edibles is sometimes a mystery; luckily this cookbook provides helpful instructions. While these are medicated munchies, they are great for the recreational user, too. It’s got recipes for soups, snacks, entrees, desserts and beverages – something for everyone! See more here. Some cannabis recipes are just classics; that’s why this collection of the 50 Greatest Cannabis Recipes of all Time belongs on your shelf. 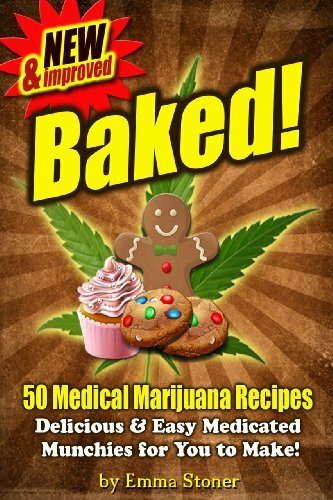 It’s packed with recipes like Magic Pancakes, Banana Bread and Cannabis Oreo Cake. Check it out here. These cookbook picks provide everything you need for a day of getting high (minus the weed, of course.) What are you cooking up this Danksgiving?